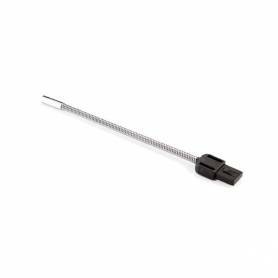 The parasol holder without flex is perfect for holding parasols because it is UNIVERSAL and it can be placed on any type of tube, regardless of the tube’s thickness. 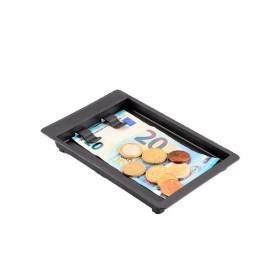 It is easily REMOVABLE and can rotate through the handles to offer shade from different positions. 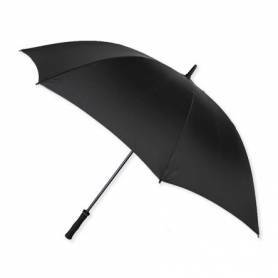 GOLF long Vogue umbrella in ultra-light carbon (350 grams), manual opening and closing, pvc grip, Ø 14 mm carbon tube and 8 fiberglass rods (76 cm length). Fabric: black light polyester . Ensure your dummies are close at hand and protected from external agents thanks to its waterproof material. 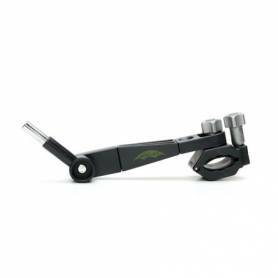 They can be easily hooked into a bag, pram or cradle by means of a clasp system incorporated in the handle. Varied colours on request. In stock silver grey. Protects the baby from adverse weather conditions. Ideal, therefore, for rainy days or when there is the possibility of flash rain showers. Installation is simple and fast. 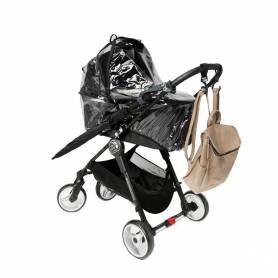 When indoors, we recommended removing the canopy to avoid possible overheating the pram’s interior. The canopy does however come with ZIPPER openings for optimal ventilation, as well as a PROTECTIVE COVER. 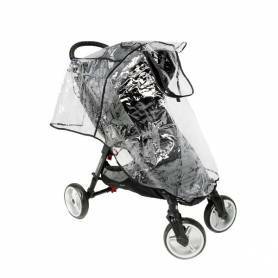 Perfect when heading out with your child on rainy and windy days, so that they can enjoy their stroll without getting wet. Simple and fast installation. When indoors, it is recommended to remove the canopy to avoid possible overheating of the interior. The canopy does however come with ZIPPER openings for optimal ventilation, as well as a PROTECTIVE COVER. 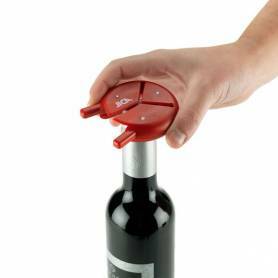 The Jicaclick FLEXO without a clamp is designed for users who already have the Jicaclick umbrella holder. 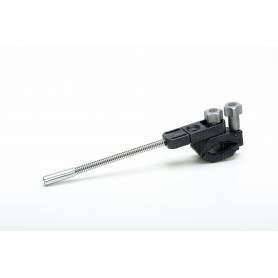 Using the clamp that is attached to the stroller tube, and with only a single click, you can convert the umbrella holder into a practical parasol holder with a flexo arm to which you can screw the parasol for your baby. Sunshade parasol for strollers manufactured in Spain. Length of the rod: 40 centimetres. 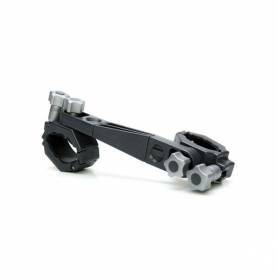 High quality, strong frame. According to tests undertaken, the parasol provide total protection against UVA radiation (UPF 50+). Also removable and universal, includes a head for the tube of the stroller and a 30 cm-long flexo arm to screw the parasol to. The LONG FLEXO PARASOL HOLDER is recommended for 7” baby parasols. 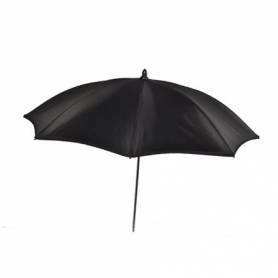 For adults, we recommend buying the umbrella holder and the umbrella with the JICACLICK sunshade fabric.